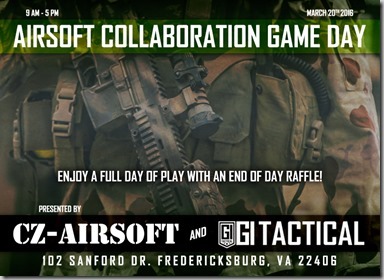 CZ Collaboration Day is a single-day event hosted by CZ-Airsoft and GI Tactical. This event is provided to bring together the community to one of the newest fields in Virginia to showcase the various play styles and attributes of the field CZ has been putting together over the last few months of growth and development. Game tickets are now available on airsoftgi.com! Airsoft GI Custom Guns are a speciality here. 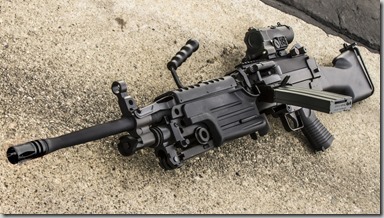 Built in Souther California with a plethora of high quality airsoft internal and external parts! Some you might find with a custom paint work to blend in with different environments. Be sure to check them out in the Airsoft GI NEW PRODUCTS page! International customers, simply add the item(s) to your cart on airsoftgi.com and click the blue global checkout button to calculate shipping and / or a fast and simple checkout system.